…it’s not enough to hail the Atiku-Obi team as the ideal presidential stuff. The party needs to work on them. They aren’t angels spared human foibles despite their outstanding characteristics and achievements. We must brace for a rift, which must come because we are talking of two strong personalities, each of whom is capable of holding his ground. There is a great deal of difference between the eager man who wants to read a book, and the tired man who wants to read. — G.K. Chesterton (1874-1936), an English writer. 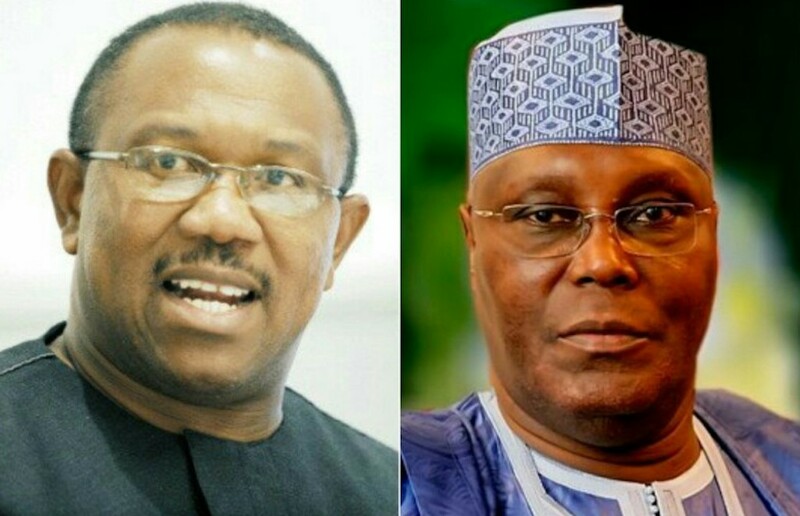 Abubakar Atiku and Peter Obi, the flag bearers of the Peoples Democratic Party (PDP) in Nigeria’s 2019 presidential poll, come from two different backgrounds. Atiku is a swashbuckling jolly good fellow. Peter Obi isn’t. Atiku is a rumbustious politician. Obi isn’t. Atiku is a gregarious personality on account of his wealth. Obi isn’t. Atiku is given to raucous peals of laughter that reflect his carriage. Obi isn’t. Atiku is a political figure who has operated at the national level. Obi isn’t. Finally, septuagenarian Atiku’s temperament is predictable. 57-year-old Obi’s isn’t. Two opposites brought together by the PDP to make Nigeria work again, following a perception that the ruling All Progressives Congress (APC) has underperformed and sunk the country into an abyss of misery, misrule and misfortune. Both Atiku and Obi post ‘formidable’ records in their days in office; the former as a vice president for eight years, after grabbing a governorship seat in Adamawa, which he didn’t consummate, and the latter as a governor in Anambra for eight years. Would the two agree when it comes to the point where party loyalists must be compensated for landing the party into power, seeing Atiku is for financially settling such citizens, whereas Obi is for turning in good work in office to pay back for their loyalty? We have all hailed the Atiku-Obi ticket. The argument is that Obi is returning to the game after what has been described as a successful outing in Anambra. He left no debilitating debt for his successor. He was civil service-friendly, owing no wages and paying government workers’ emoluments promptly. He combined personal Spartan leanings with extant government policies to save for critical infrastructure delivery. Obi has earned applause for his ascetic tenure. These are enduring virtues we need at this point of our history. But most watchers predict, rather ironically, that these strengths would be his undoing when he begins to row the boat with Atiku if they win the ballot in 2019. It’s going to be the duo of a stoic deputy and an epicurean person at the helm. Not that both can’t brew a delicious broth. But we must be prepared for some stormy relationship before the delicacy. At the moment, our Igbo compatriots are only seeing the Obi factor as a step away from the presidency. They are satisfied with the ‘solid’ credentials of Obi joining the political ‘entrepreneurship’ of Atiku, to see Nigeria through if PDP wins the ballot. We must not evaluate the puzzle so narrowly. We must instead ask some hard questions: How would a free-spending Atiku react to an Obi poised to sing the anthem of the thrifty? Both are capitalist dealers, but how far would one go down for the other to appease the restive and deprived underclass? Would Atiku’s crowd or convoy mentality in governance not be at variance with that of Obi, who believes in a lean machinery of administration? Would the two agree when it comes to the point where party loyalists must be compensated for landing the party into power, seeing Atiku is for financially settling such citizens, whereas Obi is for turning in good work in office to pay back for their loyalty? My point is that both Atiku and Obi possess splendid qualities to run the nation. They have attributes that have singly made them excel on other platforms. But, how do they blend for efficiency? Would they make a gel? A football team may put together greatly skilled individual players, who would flop when called for action. Would you call their prowess to question? Would you dismiss them as fake? Those who brought forth APC and its presidential candidate Muhammadu Buhari were also ensnared by the shortsighted assumption that once you had a so-termed figure of ‘impeccable integrity’ to lead you into the battle, you could go to bed and wake up for the crown. Would there be sleep? It’s also like the marriage institution. The woman or man you wed becomes a different person in the mix. They must learn to lean on themselves in the storm or sink. So, it’s not enough to hail the Atiku-Obi team as the ideal presidential stuff. The party needs to work on them. They aren’t angels spared human foibles despite their outstanding characteristics and achievements. We must brace for a rift, which must come because we are talking of two strong personalities, each of whom is capable of holding his ground. Those who brought forth APC and its presidential candidate Muhammadu Buhari were also ensnared by the shortsighted assumption that once you had a so-termed figure of ‘impeccable integrity’ to lead you into the battle, you could go to bed and wake up for the crown. Would there be sleep? But if, somehow, you slumbered, it would be a fitful encounter with nightmares. That’s what the ruling APC has been battling with for nearly four years since it gave us a hotchpotch administration. Truly, there’s a vast chasm between those anxious to read a book and bored old men who want to read, even if it’s Latin works they can’t read.